As you may know I went on holiday recently & came home after only two days (of a holiday that was supposed to last nearly a week). It's hard to explain how this came about, the short answer is M.E. but that doesn't really explain it. 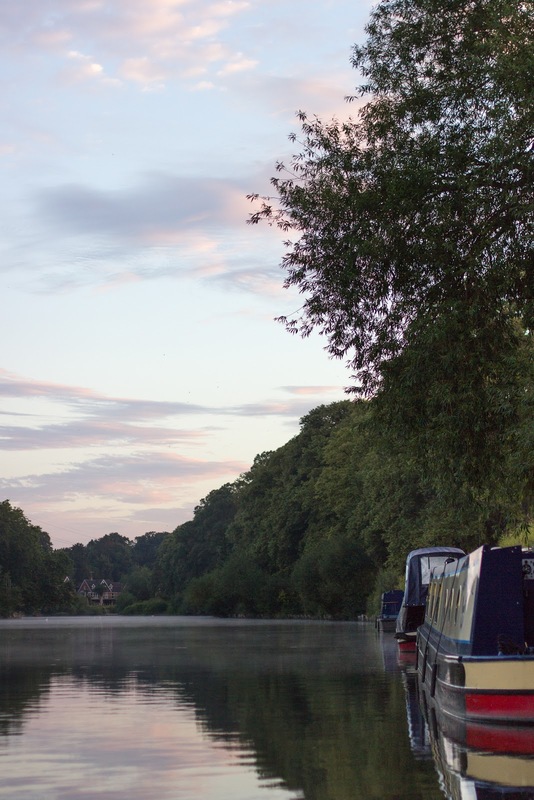 In theory a canal barge holiday in term time & mid week is ideal for a borderline Moderate-Severe M.E. sufferer like myself; the canals/rivers aren't busy, the boats move at no more than 5 miles an hour (my electric wheelchair goes faster) & there are things to see out of the windows without you having to do any work. If you went with an experienced crew, a mattress topper (the beds are not comfortable) & on an overcast week (or with lots of sun glasses to layer up) it could be perfect. I had none of these advantages. 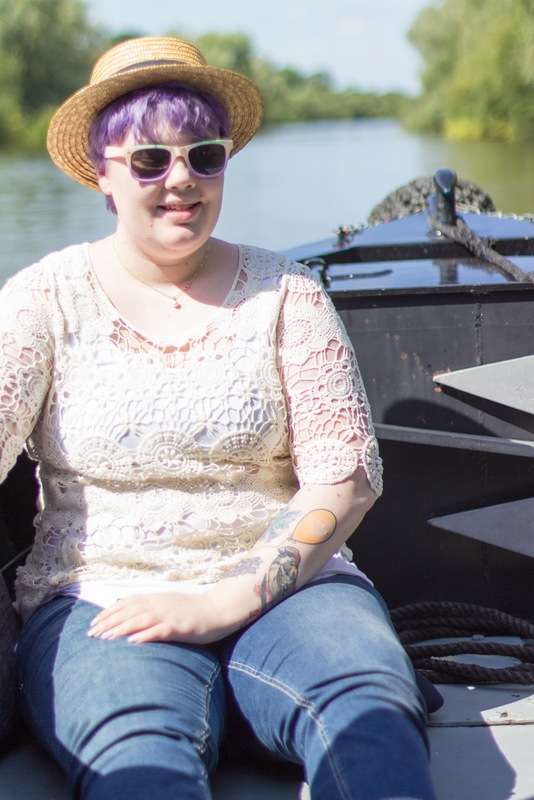 The only one of us who had ever been on a canal barge before (my mum) had done it when she was child & my brother had only ever done sailing before which is apparently very different (who knew a tiny 1 man sail boat would be different to a 60 foot barge (?) ^^), I hadn't realised how uncomfortable the beds would be so had taken only my pillows & the two days we were there were unbelievably sunny (you should see the sunburn my brother got, he managed to burn his eyeballs & burn one of his arms so badly it blistered). But honestly I should have been able to cope with these problems. Looking back I could have covered my bed in spare pillows & my duvet to make it more comfortable & I could in theory have stayed inside more & wore my noise cancelling headphones more to block out the panic & stress pouring off my brothers. All of that seems so sensible & so reasonable now & perhaps that is what I should have done but it was impossible to be sensible. Despite having lived in cities all my life I am a country girl at heart, I crave green & growing things, vast open horizons & everything that goes with them like some people crave coffee. There is something about being in nature, really in nature, that makes me feel more whole....my mum calls it really being able to breathe & I guess it is kind of that on metaphysical level. 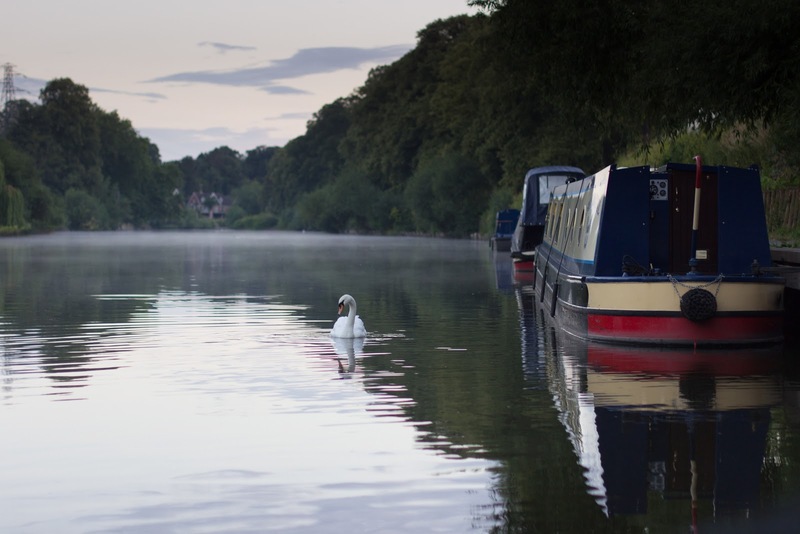 On the river, I have never felt so whole, so free, so alive...... It was like I was floating & the pain, the M.E., the exhaustion couldn't touch me. Don't get me wrong, I still had M.E. (I'm not like the lady who claims that swimming cured her). I wore 2 pairs of sunglasses & a hat trying to block out the sun, I sat unmoving on the front deck because it hurt too much to stand & I still got ridiculously overwhelmed by anything new or confusing (the one & only lock we went through left me sobbing from confusion & exhaustion) but none of this seemed to matter. That is what made the holiday into Kobayashhi Maru, an unwinnable situation, because I was in a situation I couldn't make myself pace. 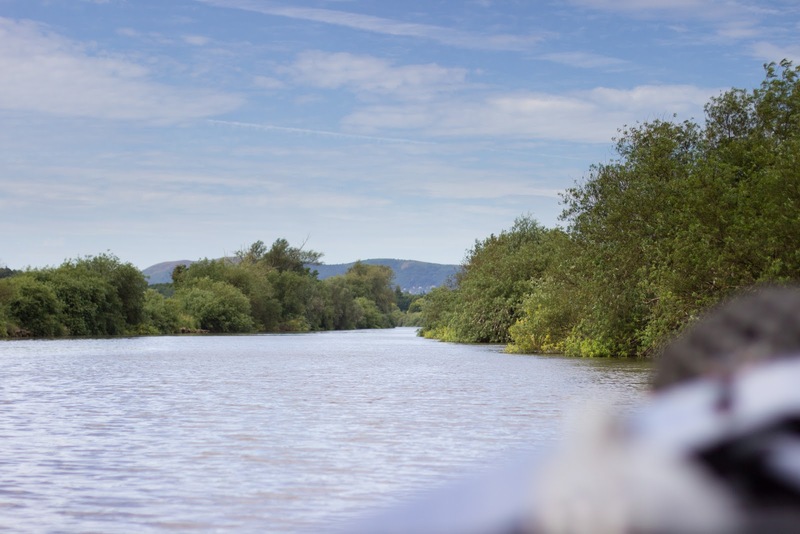 Even on the way back to the marina on the second day I couldn't stop myself from sitting on that front deck watching the herons, cormorants & kingfishers flying over the boat, the fish jumping out of the river & the malvern hills peeking out from behind the trees. And I guess that explains why I had to come home early, I was making myself really poorly (really really poorly) & I couldn't make myself care. The only way to pace it, to control how much energy I was using was to leave, to get away from the situation before I used so much energy I ended up at new level of really really ill (if any doctor is still questioning M.E. 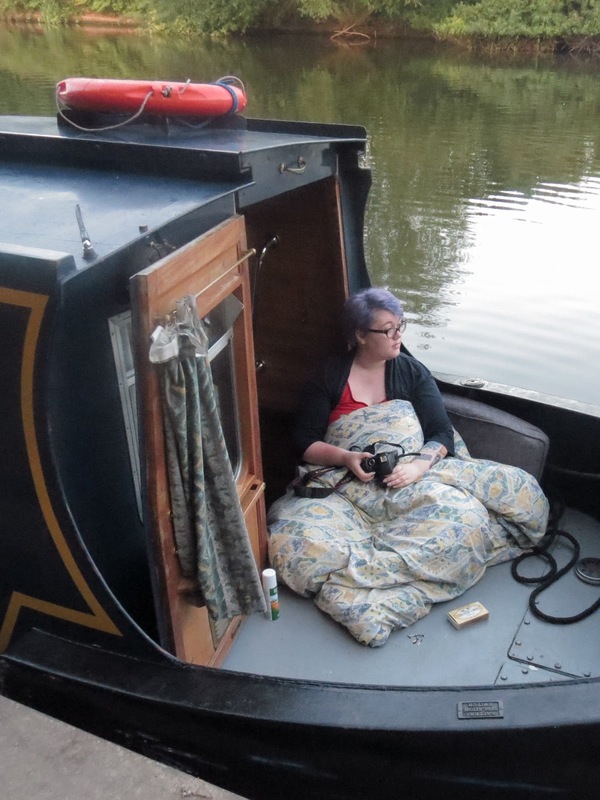 being a real condition, feel free to take me on a canal barge holiday. I may be dead by the end but you'll know it's real). I wouldn't swap the holiday I had for anything, sitting on the front deck listening to the dawn chorus & watching the sun slowly paint the sky pink....it was one of the most magical experiences of my life & something I will remember for always. One other good thing going home early did was stop the amazing memories I have of the holiday being ruined by me crashing whilst we were there. The holiday (despite being pocket sized) was idyllic where as the full sized holiday would probably have been hell.